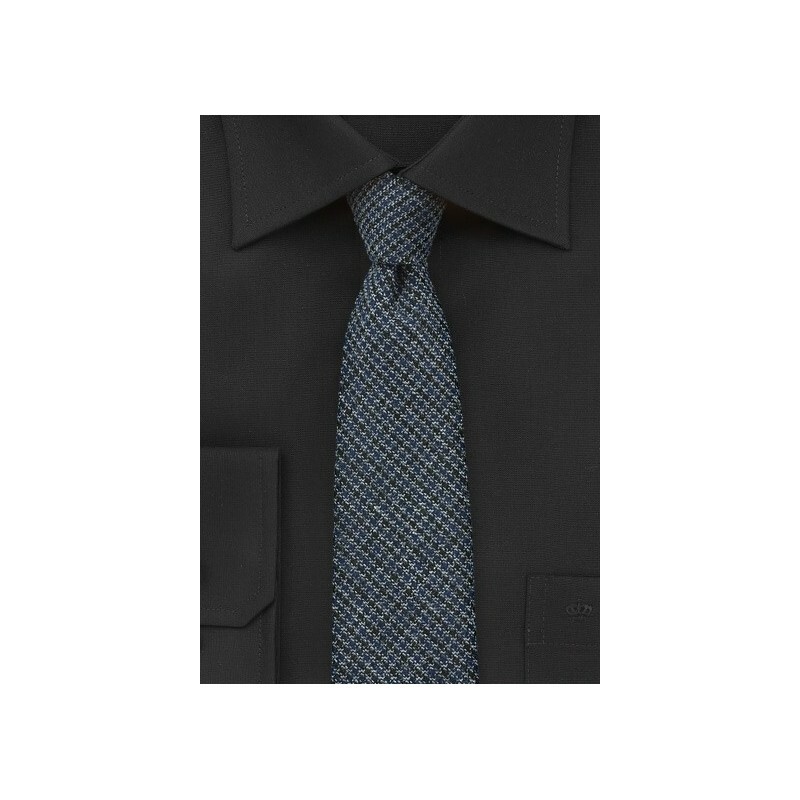 This handsome Midnight Blue Tweed Skinny Tie from Blackbird's new skinny tie collection is a must-have for any dapper dude's winter wardrobe. A flush weave features midnight blue, black, and gray threads of 100% wool for an antique tweed pattern that looks best with casual wear. 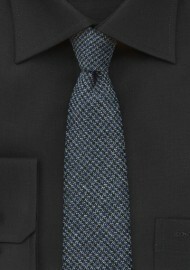 This ultra-skinny necktie looks fantastic with slim-fitting suits in black, charcoal gray, or navy. Accent it with a silver tie bar from Mont Pellier for a polished finishing touch.